No doubt about it, life can be tough for our four-legged friends who depend on us for food, shelter, and love. Even with all the horrible news we read about animals, there is still good in the world. This now viral photo shared by an Imgur user is doing just that: giving us hope. 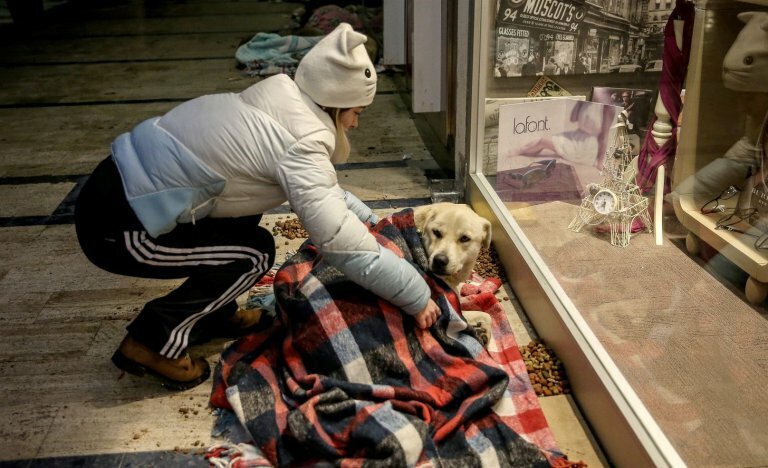 After a recent snow storm hit Turkey, the Atrium Mall, located in the Bakirkoy neighborhood of Istanbul, opened their doors to homeless dogs so that they wouldn’t have to spend the night in freezing temperatures. All bundled up and warm for the night! Animal lovers stepped in to provide blankets for the dogs. The kind people also fed all of the dogs, so they didn’t go to bed with an empty stomach. 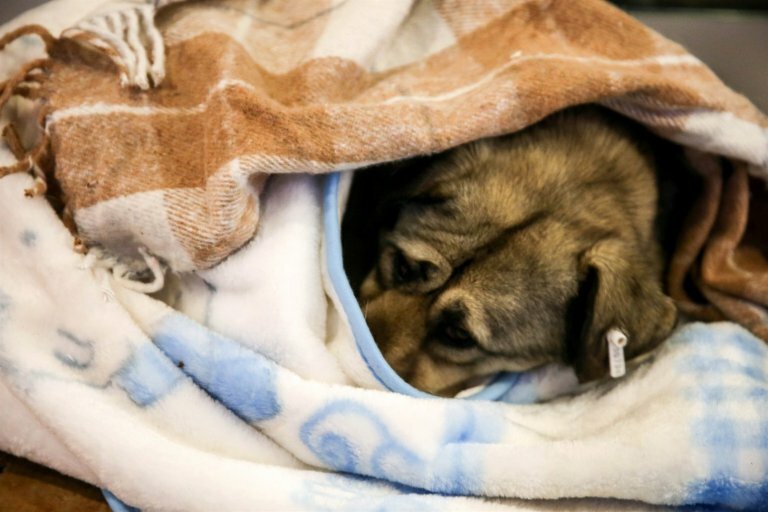 One of the volunteers who gathered blankets and food for the dogs explained to CNN Turks, “All of us, if we can help as much as we can, all the stray animals will be in good shape and the street animals need help all over the world.” We believe every dog deserves to be tucked in at night! 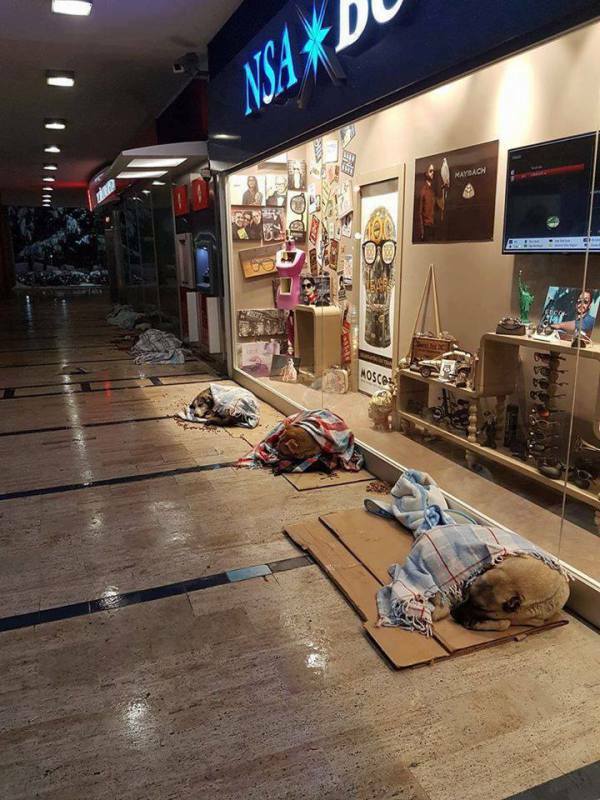 We are thankful the Atrium Mall in Turkey opened up their doors to allow the homeless dogs a warm place to sleep for the night. 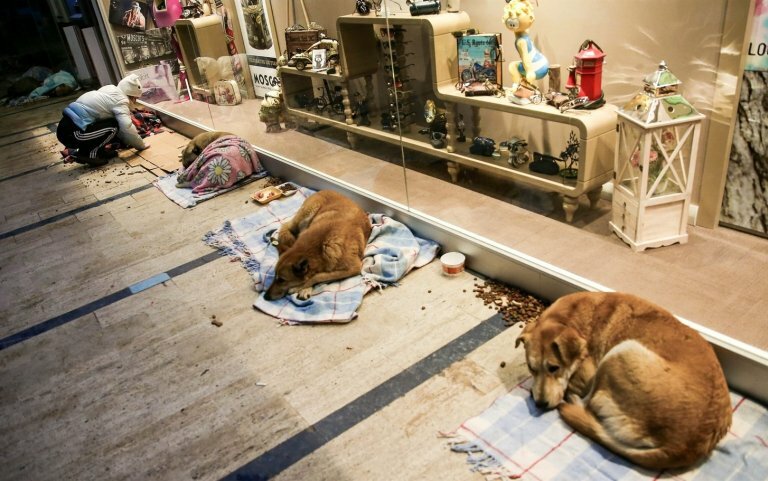 Even though Istanbul may seem far a way from the United States, many people don’t realize the extent of the pet homelessness issue right here. While we love and adore the dogs we share our homes with, the fact that there are some 70 million stray cats and dogs living on the streets gets easily ignored. Taking the extra steps during the winter months will make sure our furry friends stay safe and warm. Most importantly, please never leave your dog or cat outdoors when the temperatures drop. No matter what the temperature is, wind chill can threaten a pet’s life. 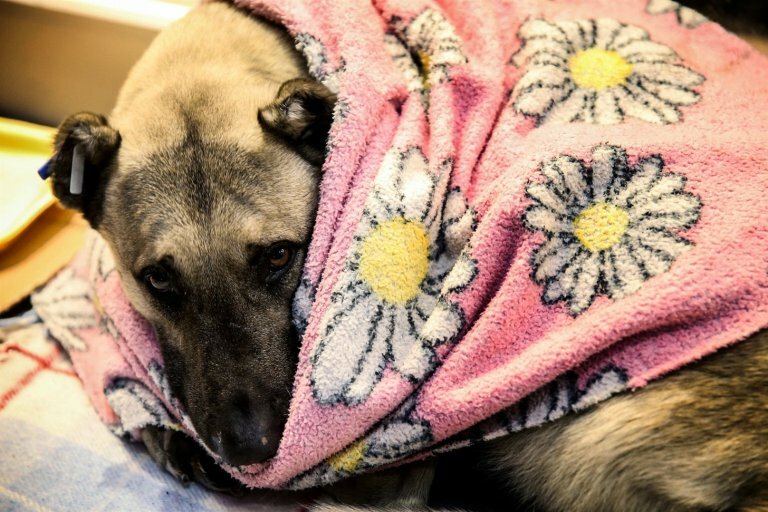 Pets are sensitive to severe cold and are at risk for frostbite and hypothermia when they are outdoors during extreme cold snaps. Exposed skin on noses, ears and paw pads can quickly freeze and suffer permanent damage. It’s also important to make sure your companion always has access to fresh, clean water. For more tips on how to protect your pet during the winter months, click here and please share with your friends and family. If you’re considering welcoming a four-legged companion into your home, please always adopt and never shop. And if you’d like to get involved with your local animal shelter, check out our guide to volunteering. What may seem like a small action can make a huge difference!